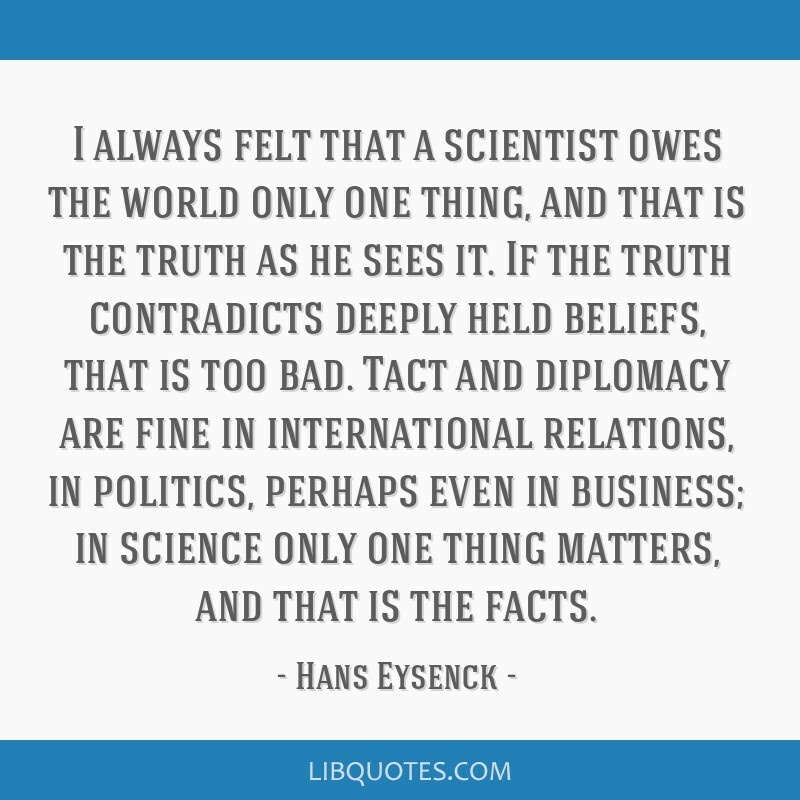 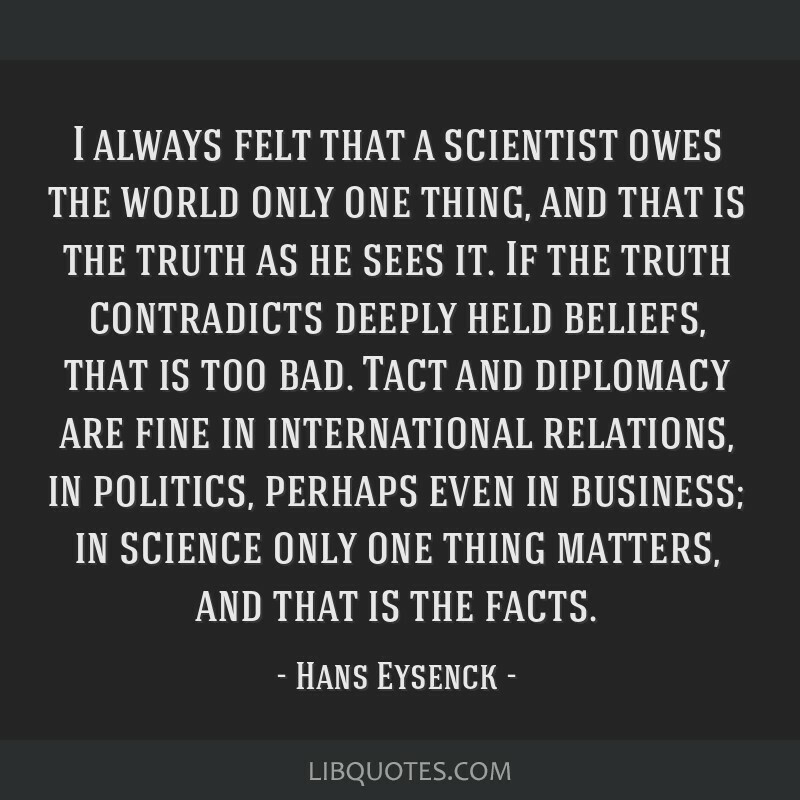 I always felt that a scientist owes the world only one thing, and that is the truth as he sees it. 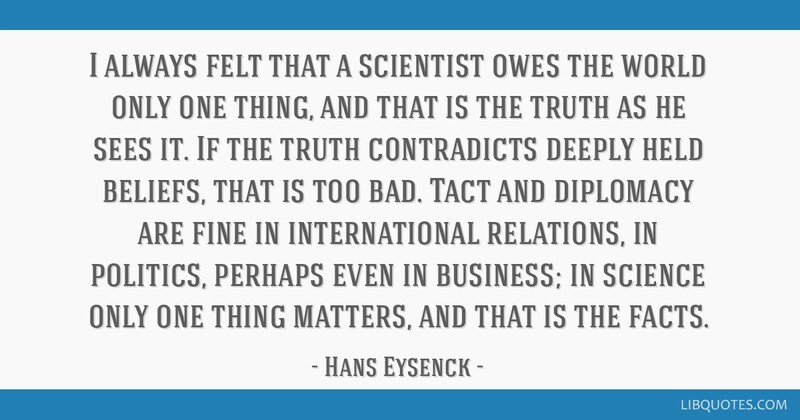 If the truth contradicts deeply held beliefs, that is too bad. 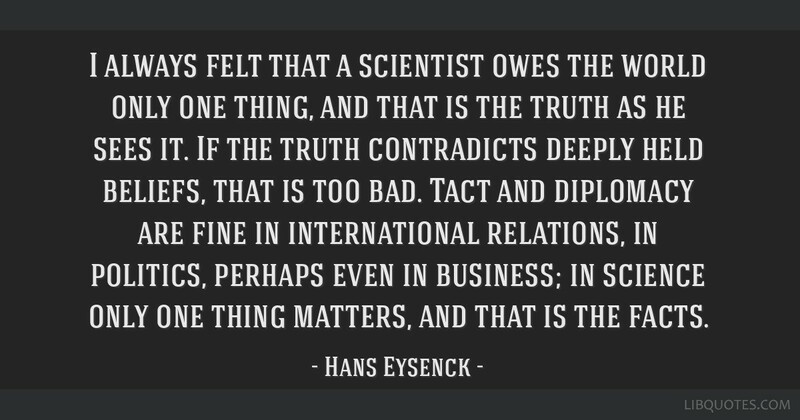 Tact and diplomacy are fine in international relations, in politics, perhaps even in business; in science only one thing matters, and that is the facts.